I love ric rac and sunsets, so you could say this card is a little mix of those two loves. The stitched steel die is from Sunny Studios Stamp. The die gave me nice, sharp edges and was perfect for creating a little stack of textured goodness! I started by ink blending a strip of white cardstock with Distress Inks in Fossilized Amber and Abandoned Coral. Then I used the largest Ric Rac Border die repeatedly to create a beautiful ombre range. Next, a small shaker box was created with the Scalloped Circles Steel Die. 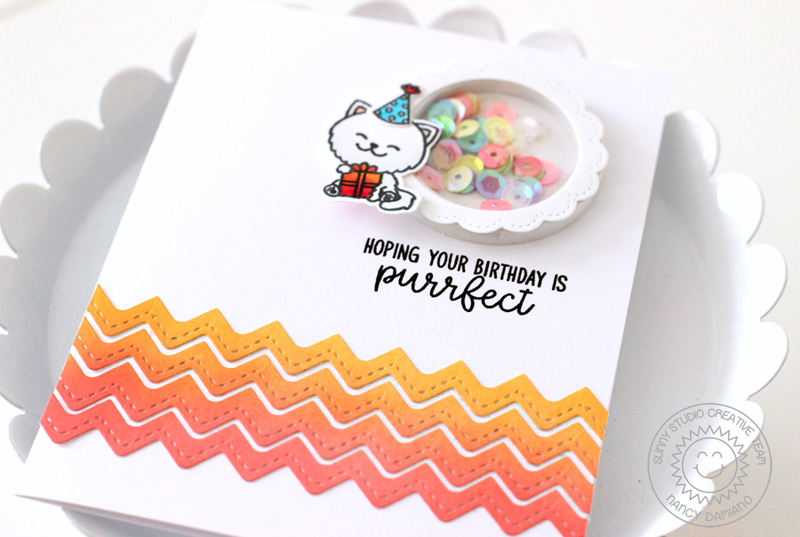 The kitty is from the Purrfect Birthday stamp set and was colored with Copic markers. Last, a sentiment from the same set was stamped in black ink. 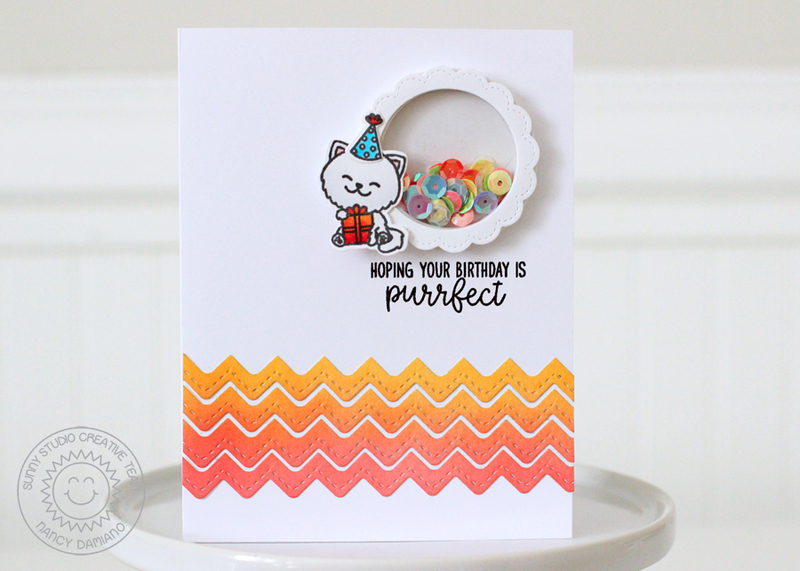 The ric rac border shape adds a pop of bold color and design to this birthday greeting. The tiny stitching detail adds a warm touch of handmade goodness! That’s such a cute card ! !